Entertaining complacent Canadians with important information, serves no purpose. Certainly, lessons ascertained from the Canadian marine industry perplexes the mind into a world of intellectual inferiority, where the majority of Canadians show no interest to establish a positive work ethic. Narrating endless episodes of determined efforts to put an end to the Canadian marine industry by Government, marine workers and unions will not contribute to future growth of such, obviously. 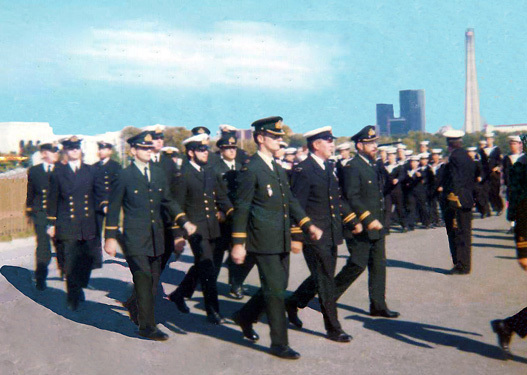 My early analysis of the prospects at beginning a marine career within Canada, showed that it had limited opportunities. And, the realization that the world possessed a greater pool of knowledge than the narrow minded Canadian institutions. Additionally and to my surprise, my disappointments within Canada, provided excellent incentives to travel elsewhere seeking better opportunities; a mannerism that always resulted in major accomplishments. While Canadians are currently suffering from a failed marine industry, I reflect on my past with pride and assurance that it was not a waste of my time. Should Canadians insinuate that I did not contribute to a mind change for the betterment of the Canadian marine industry, they are wrong. My continuous contributions, proved to be an exercise in futility; a society does not change by words or actions of an individual, instead it changes when suffering begins. Today, the loss of the marine industry has not contributed to great suffering of the population, Canadians enjoy a modest living, albeit a deteriorating one. Yet, it has contributed to a loss of pride, with consequences of a dependency on others that do not have Canada's best interests in mind. To accentuate the above, I will relate a conversation with the head of a shipbulding consortium, established to build large size vessels for the government. Because the conversation was of a private nature, I will refrain from publishing names and specifics of the shipbuilding project. The said conversation, took place upon the completion of the project, where I brought up the overall cost for the vessels and the fact that the consortium members were over paid for the product they produced. Specifically, a price tag that exceeded nations with global competitive issues such as our neighbour, the United States of America. His answer, to my surprise, was swift and factual providing specifics of the money flow, from minister's name to deposited cheques and emphasizing that he complained to the minister that the monies awarded surpassed the project's costs. Much to my shock, he offered to give the financial excess back to the government, the minister refused the money requesting that he keep it. I concluded the conversation by thanking him for his honesty. A few months later, while reading a Canadian yachting magazine, my honest shipbuilder purchased a beautiful large yacht. From experience, Canadian taxpayers are adept to government financial waste, a symptom of ignorance, incompetence and stupidity. My collection of past practices employed to correct a Canadian wrong serves no purpose today, when it is common knowledge that the average Canadian cannot handle truth, worse, they cannot handle factual information indicating culprit's methodologies at ending the Canadian marine industry. Complacency can be blamed, yet finding excuses solves nothing when determination persists to do nothing, opposed to doing something constructive. The Canadian marine industry is a large subject, where my past participation involved numerous events resulting in a collection of materials worth publishing. Unfortunately, with segments of privacy concerns and the fact that a lot of information was destroyed, demonstrating my lack of interest to pursue it further, I will only publish material that has remained in my procession and selected for future destruction. Obviously, anyone wanting more, given the power of the internet, information about the Canadian marine industry is in abundance. Sometime in July 1993, I drafted a letter outlining various aspects of the Canadian marine industry gone wrong. The letter was addressed to the Canadian Prime Minister, the Honourable Kim Campbell. Subsequently, the letter received support from Mr. G. MacPherson, president of the Marine Workers' & Boilermakers' Industrial Union, where his concerns were added. The final draft was completed, July 21, 1993 and sent under the Union's letter head bearing both our signatures. The said letter is self- explanatory and is available below in .pdf format. Simply click on the image below to review its contents. During the early nineties, various forms of communication took place engaging members of the Canadian marine industry with an interest to chart a better route. Unfortunately, the best of verbal engagements took place in private with no written word available. Needless to say, a clear picture of the Canadian mindset made me realize how determined the powers at hand were to destroy such an industry. Realizing that I alone could not reverse the trend to downsize the Canadian marine industry to that of hardly an existence, again I travelled elsewhere seeking better opportunities. Simply click on the image below to review various government correspondence. During my absence from Canadian shores, the plight to improve the Canadian marine industry continued, unfortunately with no positive results. Below are excerpts from a presentation given by the President of the Shipbuilding Association of Canada in December 1999. "Shipbuilding jobs in Canada produce an average sectoral wage that is 33% more than the Canadian norm. On average, 80% of the construction fee paid to a shipbuilder stays in Canada". "Another important reason for maintaining a Canadian shipbuilding industry is that the perishable high-technology skills associated with modern ship construction will remain and continue to grow in Canada. Loss of these skills also has serious repercussions for the maritime defence of Canada". "In the maritime nation called Canada there is a role for the Canadian shipbuilding industry but in order for it to survive it must have access to the world`s markets. As the 21st century unfolds, Canada will still have the need of ships". "Sir Robert Atkinson, former chairman of British shipbuilding has recently presented a paper on the demise of the British shipbuilding which in the last 50 years has seen its market share go from 40% to less than 1.4%. His key point was that, without government support, shipbuilding cannot survive in any country. Shipbuilding is a political issue pure and simple. That, in a nutshell, is why Canada needs a shipbuilding policy too". Vice Admiral Peter W. Cairns RCN (Ret`d), President, Shipbuilding Association of Canada, December 1999. 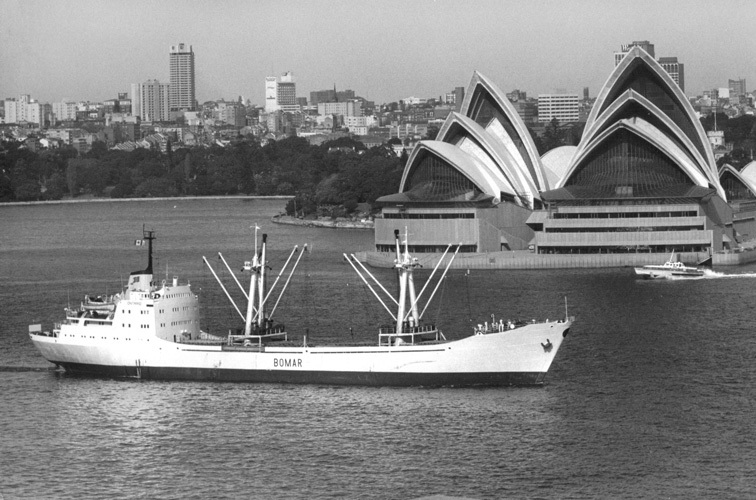 The image below, shows the M/V Ontario entering the Port of Sydney, Australia, sometime in 1973. Clearly showing the Canadian flag at center mast, above the funnel, representing one of the last foreign going vessels registered in Canada. A Vietnam veteran, the M/V Ontario, sailed to Saigon when the US forces were on a retreat. At the time I was the buson, managing the deck crew. “As an independent judiciary, the Provincial Court of British Columbia is committed above all to upholding the Rule of Law and the Constitution of Canada. We aspire to be fair, impartial, compassionate and patient in a knowledgeable and consistent application of the law to all persons, with due regard to each person’s circumstances. We strive in serving the communities of BC to provide reasonable and equal access to justice for all persons through traditional and innovative processes which, to the extent permitted by law and our resources, are practical, speedy, inexpensive, and simple”. To call the above statement trash, would constitute praise for an institution that dismisses its most important mandate; “to uphold the Rule of Law”. Unfortunately, the trashy aspect of law practice in the Province of British Columbia carries through to the Federal level with statements originating from both, the Prime Minister of Canada and Transport Canada Ministry, affirming their lack of interest to apply the Rule of Law. The El Conquistador story does not begin with criminal activity on the part of the owner, instead a victim of Canadian society that allows an abandoned and dilapidated deep sea tug built in Montreal, Province of Quebec, Canada, by Canadian Vickers, in 1938, to be sold to an individual with no marine experience allowing him to purchase a ship that Canadian authorities should have seized years earlier as a danger to the safety of the public and the environment. The paragraphs that follow delivers a story of embarrassment and dishonor to maritime Canada. Because it involves various segments of incompetent and stupid Canadian Governance, it is a story worth telling. Unfortunately, I was picked as the central figure, much to my dislike. Specifically, I was charged with a crime that I did not commit nor did anyone else. Actually, the thrust of my involvement was to prevent a crime of falsifying a ship document and the operation of an unseaworthy vessel. And, to bring past events to the comical stage; yes, my client, Mr. Shon Nickel, the above-mentioned "victim", had an interest to falsify his vessel's documents for the purpose of seeking Venezuelan registry, fortunately, to end his criminal pursuit, I told his wife and she put a stop to his proposed criminal career. 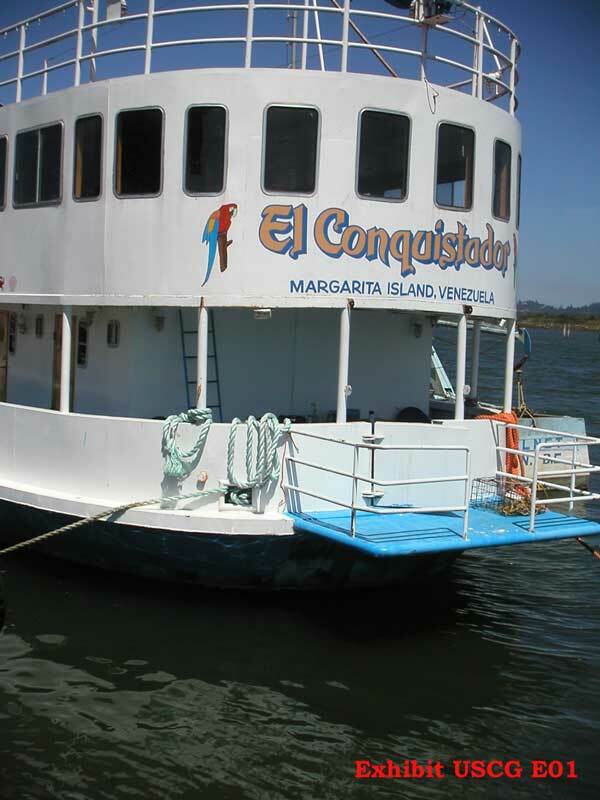 The vessel, named El Conquistador by Mr. Shon Nickel, was originally built in 1938 under the name Tam. 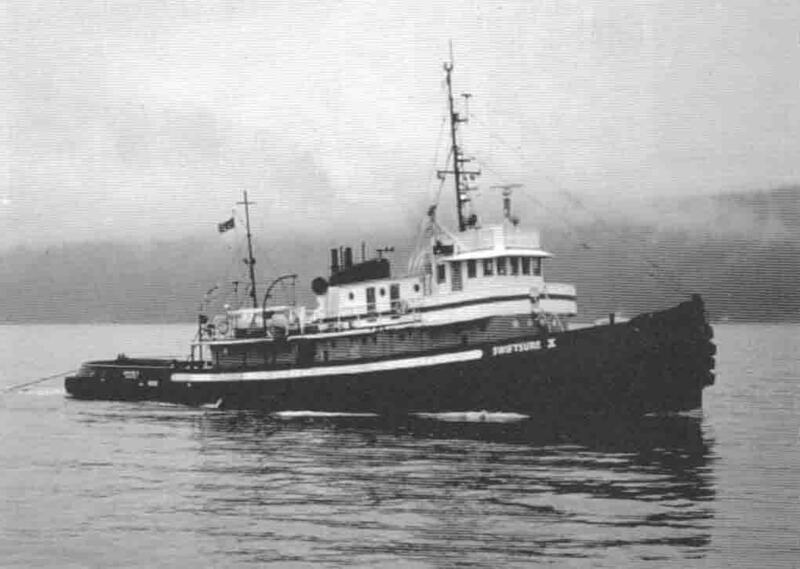 The earliest report known, involving the M/V Kam dates back to 1967, it states the following; “Reported sold foreign by newsletter “shipfax” was the tug Gulf Ivy in January. 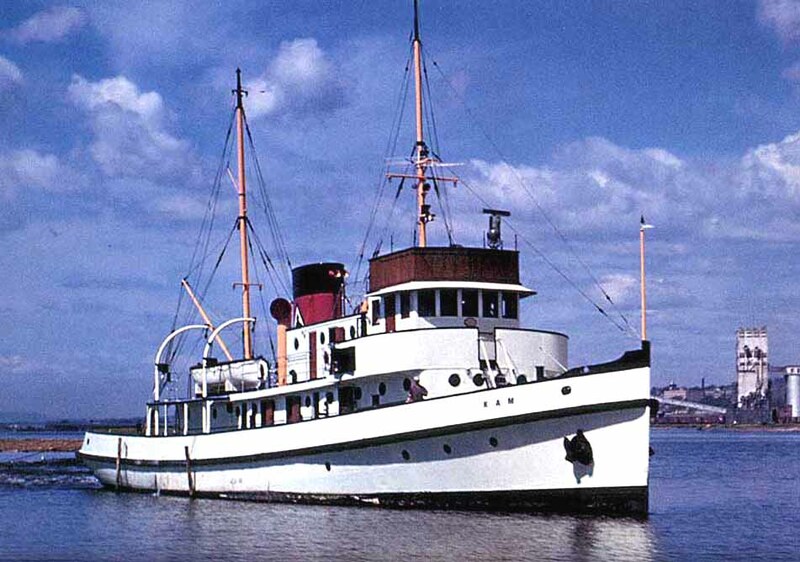 Built by Canadian Vickers in 1938 in Montreal, she was in Lakes service up until 1967 under the name Kam. She was owned by Abitibi Power & Paper Co. Ltd. of Toronto”. 1. Why, was I charged with falsifying a ship document two years after the events took place, allowing for the El Conquistador to depart Canada in an unseaworthy condition bound for the United States of America where it remains detained by U.S. authorities, to this day? 2. Why, the Canadian authorities failed to detain the El Conquistador within Canadian waters displaying an obvious unseaworthy condition? 3. 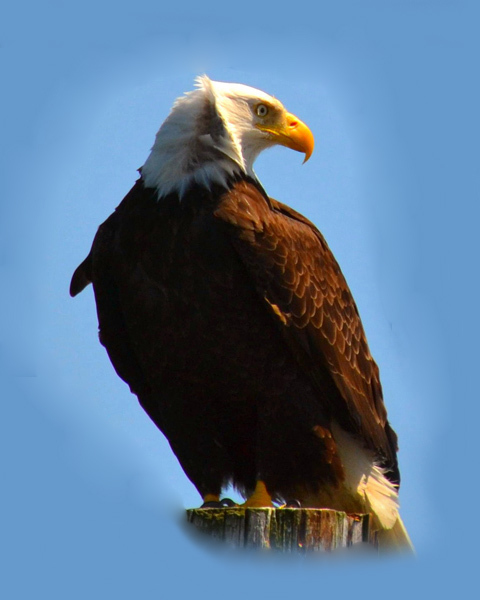 Why, the Criminal Courts for the Province of British Columbia refused to hear evidence against Sergeant M. G. Peers, member of the Royal Canadian Mounted Police? Click to review .pdf Form 2. 4. Why, was the vessel El Conquistador, previously registered under the name Gulf Ivy yet sailing under the unregistered name Swiftsure X within Canadian and U.S. waters? 5. Why, was my call to Mr. John Yeung, Transport Canada, Marine Safety, to inquire about Port Control and whether they monitored the Port for substandard vessels, namely the movements of the ex-Gulf Ivy a Stateless vessel navigating on Canadian waters, Ignored? 6. Why, my stability booklet produced after inclining the El Conquistador disappeared, where only a few page copies exist, the first page bears an official Transport Canada Stamp beside a false stamp? 7. Why, evidence shows that Transport Canada officials were the only ones in possession of copies and originals, making it almost impossible for anyone else to create such forgeries without their assistance? 8. Why, was I charged with one count of forgery, when no one else was charged, given that the original documents showing a false stamp were never in my possession? 9. Why, Canadian witnesses that inspected the M/V El Conquistador determined the vessel to be in an unsafe condition prior to departure from North Vancouver, BC., yet, Judge Challenger, Judge Angelomatis and Judge Steinberg refused to issue subpoenas to hear these witnesses and refused to hear evidence submitted by the United States Coast Guard and Homeland Security? 10.Why, two witness subpoenas received Judge’s approval yet the above-mentioned judges refused to hear evidence? 1. Mr. Nickel to become aware of all regulations, both Canadian and International governing the operation, construction, and registry of sea going passenger vessels. 2. The vessel was not registered. As per Transport Canada, vessel registry office in Vancouver, the Gulf Ivy (O.N. 0170259) no longer registered in Canada, date of closing: January 24, 2000, that Mr. Nickel register the vessel immediately, either back to Canadian Registry or to seek a new State-Flag to register his vessel. See Canada Shipping Act, 2001, Vessel Registry. 3. Additions to the superstructure were built with no regard to structural rules. No approved plan drawings showing details and calculations of work, before the modifications. Mr. Nickel had absolutely no concept as to the structural loads imposed on the original superstructure of his vessel. Recommended an immediate structural analysis, together with longitudinal strength calculations showing whether the additional structure and cement placed inside the forward ballast tanks to be a safe additional load on his vessel’s original hull structure. 4. Given the amount of new additional superstructure to the vessel, it was recommended an immediate detail stability study to prevent a possible capsizing accident. Soon after the above-mentioned onboard meeting, I contacted Transport Canada, Vessel Registry, to confirm the status of the vessel. Confirmed by Ms. K. O. McEllwain, the ex-Gulf Ivy, was no longer registered in Canada, date of closing: January 24, 2000. Therefore, an unregistered vessel within Canadian jurisdiction. See Canada Shipping Act for offence and penalties. On behalf of The vessel’s owner, Mr. Shon Nickel, I maintained contact with Ms. McEllwain, Senior Registrar, Transport Canada, negotiating a way to get the Vessel back into Canadian Registry. During these early conversations with Ms. McEllwain, I learned the status of the M/V Gulf Ivy regarding a non-existing name Swiftsure X in the Registry. A clear indication the certificates found onboard with the name Swiftsure X, were falsified by Transport Canada. Later, this information played a part in the my mindset, following threats originating from Mr. Shon Nickel, allowing for information given to Mr. Shon Nickel for his falsification of ship documents produced to convince Venezuelan Authorities to register the Swiftsure X and re-naming it El Conquistador. Obviously, any State-Flag, such as Venezuela, inquiring about a vessel named Swiftsure X would find the vessel non-existent. This method worked, the vessel was not registered in Venezuela. Also, the fact that I called Mr. Shon Nickel's wife telling her about her husband's intent to produce false documents, she immediately put a stop to his proposed criminal career. On September 12, 2001, the above-mentioned vessel departed Mr. Ron Francis, Marina, bound for Allied Shipyard, North Vancouver, under its own power. The Captain and Chief Engineer were Canadian Certified mariners. Namely, Ms. Barbara Howe, captain and Mr. Louis De Graaf, chief engineer. Specifically, Ms. Barbara Howe, captain of the vessel O.N. 170259, Canadian certified and marine instructor, member of a Vancouver Marine College, took command of a stateless vessel when the first duty of a Canadian certified master is to check a vessel’s registry status and refuse command when in a stateless condition. Violation of the Canada Shipping Act, 2001. 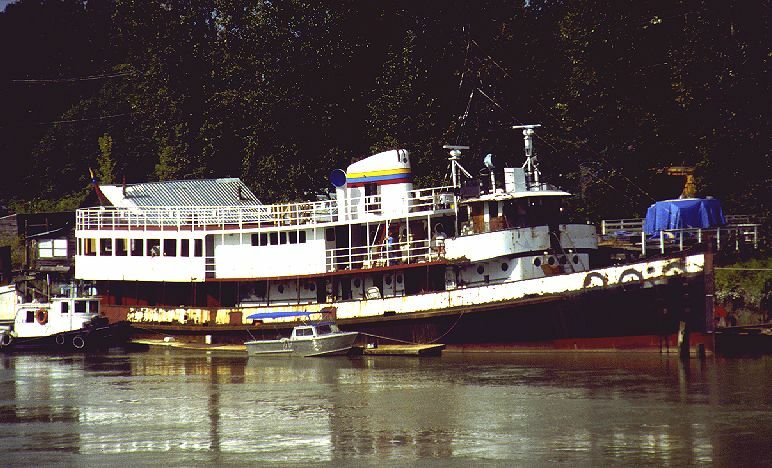 Under the command of Captain Howe, the vessel sailed from the Fraser River Port Authority to the Vancouver Port Authority, unregistered, flying a large Venezuelan flag while the vessel was not registered in Venezuela, no life saving equipment, poor stability, hull flooding from around the perforated sea chests, fire mains not working, and the engine telegraph not working. The engine telegraph failure resulted in a collision with the departure dock. The collision caused extensive damage to Mr. Ron Francis property resulting in a civil case. Before these sailing events, Transport Canada, Ship Registry, was well aware the vessel was not registered. Further, the Captain and the Chief Engineer were well aware the vessel was not fit to depart. To be specific, the vessel was not fit to be in the water, when one considers the hull condition. 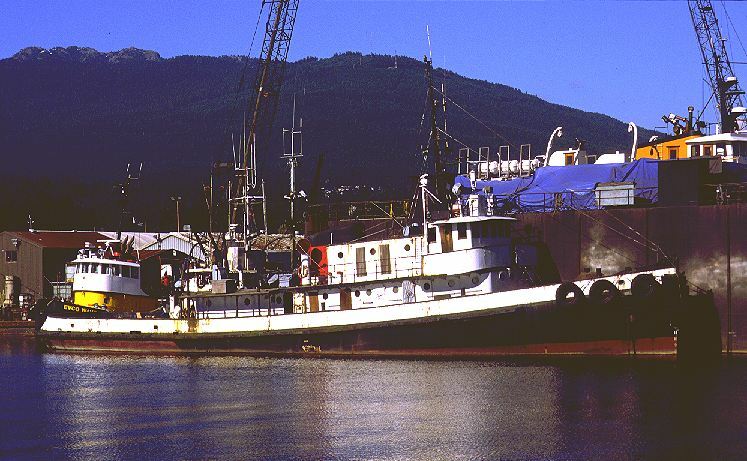 On September 15, 2001, after the vessel’s arrival at Allied Shipyard, North Vancouver, I contacted Mr. John Yeung, Transport Canada, Marine Safety, to inquire about Port Control and whether they monitored the Port for substandard vessels, namely the movements of the ex-Gulf Ivy a Stateless vessel navigating on Canadian waters. Mr. Yeung gave me assurance that all was under control. 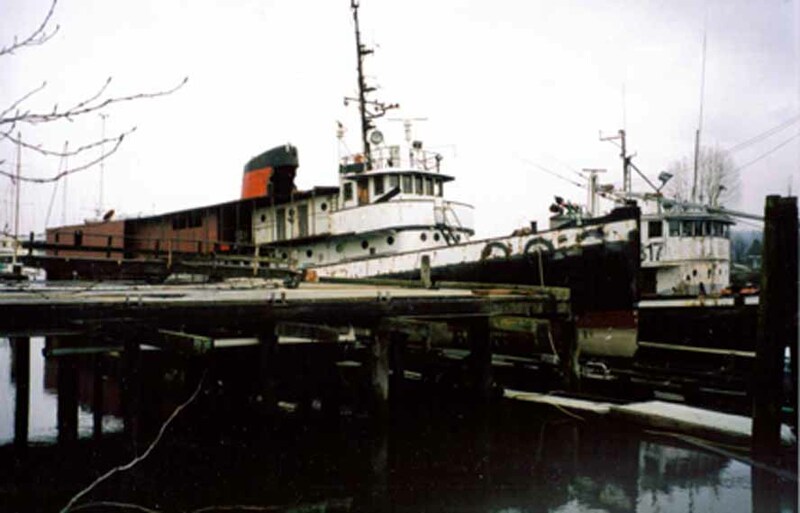 During November and December 2001, I was contacted by Mr. Nickel requesting condition surveys of his vessel. Two surveys took place onboard the ex-Gulf Ivy, El Conquistador, one in November, one in December 2001. Before the surveys, in a meeting with Mr. Nickel and his wife I strongly recommended a stability study of the vessel to be addressed first. It made no sense to continue adding equipment and structure to a vessel that might already have serious stability related problems. Mr. Nickel agreed to have the stability of his vessel checked. Following the collection of relevant data an inclining test took place at a later date. Prior to the inclining test a meeting took place onboard Mr. Nickel’s vessel. This time I decided that enough conversation had taken place prior to the meeting and it was about time Mr. Nickel understood the vessel was not fit to receive any certificates from any regulatory body. Further, I did not understand the lack of action from the Canadian Authorities given that the vessel remained out of registry and in an unseaworthy condition. Mr. Nickel’s reply relating to Canadian Authorities was simple: “Canadians are stupid”. Also, I questioned the wisdom of Mr. Nickel’s legal advisers by maintaining the vessel out of registry. Following this meeting I requested to withdraw my services. This resulted in a barrage of in-person and phone threats from both Mr. Nickel and his wife. Sometime during this feud, I contacted Mr. Jim McLaren, Allied Shipyard manager and owner, to inform him of my decision to withdraw my services and not proceed to incline the vessel and create a stability booklet. My decision to withdraw services agitated Mr. Macleran. For safety reasons he worried about the stability condition of the vessel El Conquistador (ex-Gulf Ivy) and was quite interested to know the inclining results. After a number of emails, phone conversations, etc. involving Mr. Nickel, his wife, Mr. Jim MacLaren and I, it was decided, for professional and safety reasons, to proceed with an inclining test and produce a stability booklet. At the time, I was very clear about the scope of work and submitted my invoices relating to the work previously completed and all the visits to the vessel. Further, the invoice referring to the onboard visits stated the main reasons the vessel would not pass any Classification Society or State-Flag inspections. Mid to late Spring 2002 and again prior to the inclining test, Mr. Nickel asked me to inspect the vessel once again. Mr. Nickel requested this inspection because the vessel was in dry-dock for hull inspection. Once again, I reminded Mr. Nickel that the stability was the only issue that I would deal with. Yet, given past uncompleted visits to survey the vessel, I decided to inspect the hull to satisfy myself that my past conclusions were correct regarding the overall condition of the vessel. Upon arrival, it became very clear to me that the vessel was dry-docked for other reasons than just a hull inspection and paint job. To begin with, the hull was undergoing plate removal, welding, and plate inserts. To make a long story short, the vessel was sinking and they had to lift her out of the water to perform emergency repairs. My findings matched past ones: the vessel was not fit to be in the water. I recommended the hull to be ultra-sonic tested. For a vessel of this age (built in 1938), Canada Shipping Act Regulations require the hull be drilled for accurate hull thickness measurements and only begin repairs after evaluation of the whole hull. Repairing the holes would not solve the overall condition of the hull for sea worthiness. Visually the hull showed areas with very thin metal near perforation. Specifically, the period above-stated, Mid to Late Spring 2002, showed a vessel deprived of basic structure required to maintain a load surpassing its maximum designed water line. My authorized quest to determine a means clarifying to Mr. Shon Nickel that his wishes were leading him to a dangerous condition for his vessel, were in vain. The ex-Gulf Ivy O. N. 170259 displayed a hull with its collision bulkhead severely perforated, the stern bulkhead half removed, stern ballast tanks structure removed, forward tank tops removed, scantlings water line submerged, hull showing severe corrosion within its mid body near the sea chests, additions to its superstructure surpassing a safe level for the type of vessel it was designed and approximately 100 tons of solid ballast added to prevent a capsizing. Clearly, endangering the safety of the ex-Gulf Ivy. Canadian Criminal Code, Section 87.1. Mr. Nickel was becoming impatient with most people contracted to provide a service or a product to the vessel. Legal battles arising against Mr. Nickel: the dock collision civil suit, a lien on the vessel for unpaid bills, window manufacture wanted to withdraw his services and products, the chief engineer, Mr. De Graaf, continuous questions about the vessel’s safety. I did not want to provide or assist Mr. Nickel to obtain seaworthiness certification, on behalf of Honduras or Panama authority. Mr. Nickel was beginning to realize that the vessel’s overall seaworthiness condition was not what he understood at the time of purchase. In other words, the best route for this vessel was the junkyard. Built in 1938, hull in bad condition, newly built superstructure; that would not pass International Regulations for a passenger vessel, wrong subdivision for a passenger vessel, and possible stability problems. After dry-docking, the vessel returned to the water and I subsequently produced the stability study booklet. The Inclining Experiment went well and Mr. Nickel, once again, received information that the stability was produce without State-Flag or Classification Society witness. Therefore, the best it would provide was a check on the vessel’s overall stability condition. Unfortunately, the stability did not produce the results Mr. Nickel expected. The vessel, at the time of the incline had its fuel tanks fully loaded together with the aft ballast tanks also fully loaded. This condition produced a favourable stability condition at the time of inclining. Not the same when different conditions were generated and analyzed. Reminding Mr. Nickel that his vessel was upright given the 100 tons of steel and cement added to the bottom of the vessel and that the previously mentioned tanks were fully loaded. The practice of adding cement to older vessels follows a condition where ballast tank tops are removed to accommodate the cement, thus weakening its structure. This method endangers the safety of the vessel as it compromises the vessel's structural integrity. Mr. Nickel reacted by issuing threats against my life, resulting in repeating my past statements; absolutely no modifications to the booklet, especially when potential loss of life is a possibility. Following the creation of the stability booklet Mr. Nickel made a variety of visits to my office, to vent his frustration and to persuade/threaten me to change my mind about the stability booklet’s stated warnings. The issue of acquiring certificates to please the Venezuelan authorities and obtain Venezuelan registry was top priority in Mr. Nickel’s mind. The above-mentioned issue reached a peak when Mr. Nickel took a copy of a section of a drawing from my desk showing Transport Canada approval stamps. The drawing, belonging to another client of mine, was of interest to Mr. Nickel because he decided to alter certificates issued to his vessel 26 years ago. The reasoning behind Mr. Nickel’s motives generated from conversations with his lawyers in New Orleans representing Mr. Nickel to the Venezuelan Authorities. Mr. Nickel insisted that the Venezuelan Authorities would accept anything his lawyers gave them and register the vessel. I repeated conversations about the difficulty of registering the vessel with the Venezuelan Authorities suggested the vessel go back to the Canadian registry under a pleasure craft status. Once again, I contacted Ms. K. McEllwain to find out about the procedures governing registry of a vessel owned by a foreigner to Canada. All the information that I collected was passed on to Mr. Nickel while he rejected this venue. Mr. Nickel was only interested in having his vessel registered with the Venezuelan Authorities mainly because both Mr. Nickel and his wife had property in Venezuela. Again, as previously mentioned, I called Mr. Shon Nickel's wife telling her about her husband's intent to produce false documents, she immediately put a stop to his proposed criminal career. Therefore, sometime towards the end Summer 2002, I expected the whole ordeal involving the Vessel El Conquistador to end with the vessel detained by Transport Canada and the RCMP. The events involving the vessel renamed El Conquistador, herein described, reflect approximately TWO THOUSAND pieces of paper, exhibiting; letters, faxes, documents, certificates, court applications, ship drawings, court transcripts, and stability data. In Addition, approximately TWELVE HOURS of recorded interviews with witnesses and graphic information released from United States of America, Homeland Security, all add testimony to the severity of neglect and criminal activity displayed by Canadian Government officials, namely a member of the RCMP, Sgt. Mark G. Peers and five officials of Transport Canada, James Lawson, Brian Kenefick, Colin Currivan, David Motion and Goeff Sedan. During the Provincial Court events that followed, I wrote two letters to the Administrating Judge for the Provincial Courts of New Westminster, BC. The letters are self-explanatory yet, the numerous exhibits and recorded witness statements are omitted from these web pages. Needless to say this case in not resolved as per the normal for Canada when Government officials and the Police show criminal activity. Canadians continue to live under a state of corruption where the majority offer praise to our police and Judiciary. Does criminal evidence scare Canadians? I am assured it does, thus corruption continues. The two letters addressed to the administrating judge for the Provincial Courts of New Westminster, BC, are posted below. The following quote, originates from my telephone conversation with Mr. Bud Streeter, Director General, Marine Safety. Mr. Streeter was the Director General, Marine Safety Canada, during the events involving the El Conquistador. Needless to say, it is a very disturbing to know that the Canadian Government is well aware of high level incompetency within its employees and does nothing to rid of such filth. "There is no doubt that marine safety is dysfunctional right now for sure basically what you got is a whole bunch of regional directors that don’t take any direction from Ottawa plus you don’t have any body in Ottawa that is giving any direction". "They are having their problems in marine safety they have problems with enforcement they have problems with standards and they have problems with personnel". "I don’t think it is as simple as one person being incompetent it’s a problem with the whole organization and I will be very honest after one trip to the heart institute in the back of an ambulance, five years in marine safety was enough for me. I had a heart attack in February 2002, and I took an opportunity that was presented in May of 2002". "And I am not surprised there has been a number of things particular in the west coast that have not made a lot of sense, the analogy that I heard used was the inmates are in charge of the asylum out there”. Mr. Bud Streeter, Director General, Marine Safety Canada. On March 16, 2006, the Supreme Court of British Columbia granted a Judicial Review of the facts involving the activities of the above-mentioned individuals, initiated by Captain E. Gerardo da Costa Duarte private prosecution against RCMP Sgt. Mark G. Peers formerly serving the RCMP West Coast Marine Detachment, Nanaimo, BC. Subsequently, every Judge for the Provincial Courts of British Columbia refused to hear the evidence, bringing shame and corruption to the Canadian Judicial system. Members of the public believing these issues don’t involve them are living with their head buried in sand. 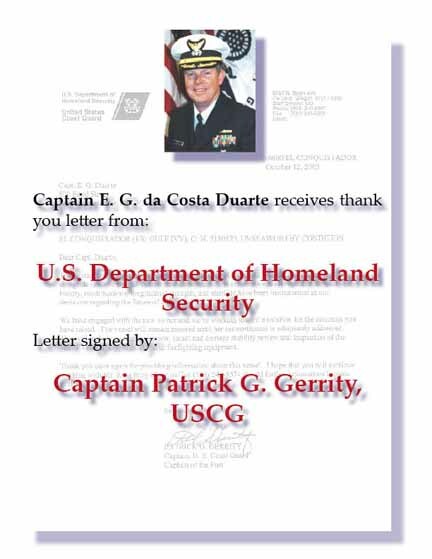 On October 12, 2005, I received a letter of "thank you" from Captain Patrick G. Gerrity, Homeland Security, United States Coast Guard, Captain of the Port. The letter references the U.S. detained vessel El Conquistador (ex-Gulf Ivy) O.N. 5180520, unseaworthy condition. The said letter is symbolic of a nation, Canada, that refuses to address incompetence and a judicial system gone wrong.